Recent studies have shown that the power of being read to at any age changes the brain’s chemistry in such a way that the power of recall is greatly enhanced. Will Corcoran can still vividly remember the books read to him by his mother for fifteen minutes, once a week, fifty years ago. 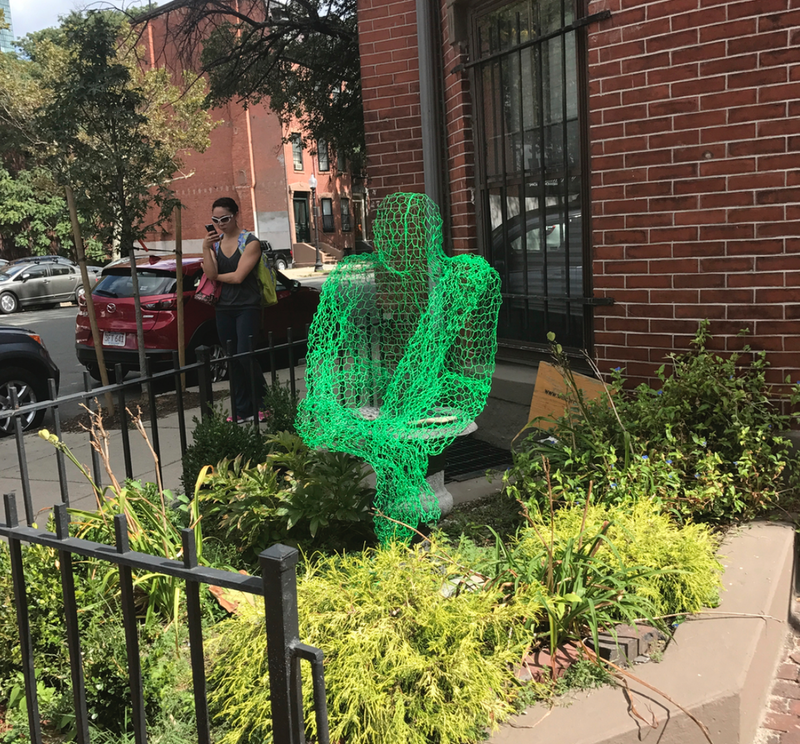 Corcoran is a South End artist whose wire sculptures have been on display for years in front of his home, at the corner of Pembroke Street and Warren Avenue. All outside pieces are made of hex wire. Some art works are ‘spinners’ which literally (spin) in the breeze. Most Installs happen at noon when the collective buzz of people, nature, trucks and taxis create a breeze that bring them to life. The collective movement of the city becomes an integral part of the piece. Sculptures are changed twice a month year-round. “Kids wait and wonder about the next install,” he says. For most interior pieces aluminum screening is used. This affords a transparent effect by day and solid sculptures at night, “with amazing shadows,” he says. Local/Focus is a program sponsored by the Friends of the South End Library to connect the South End branch of the BPL with local artists, non-profit institutions and creative entrepreneurs through informative and interesting installations in the library’s Tremont Street window(s).